A student art show hosted yesterday night in the Lev Bukhman Theatre Lounge highlighted the impact of the opioid crisis from a youth perspective, advancing the dialogue on how to change societal misconceptions about substances and those who use them. Hosted by the UBC Chapter of Canadian Students for Sensible Drug Policy (CSSDP) — a grassroots national youth organization that advocates for more evidence-based drug policies — and funded by the Canadian Institute of Substance Use Research, the event used art to kickstart a community dialogue session on how to better address an opioid crisis that killed 1,156 British Columbians in 2017 alone. Stephanie Lake, a PhD student at the School of Population and Public Health and the chapter’s chair, said that while substance use is a part of student culture, the impact of the opioid crisis on student populations is rarely discussed. Featured pieces tackle social misconceptions around substance use through a variety of mediums and messages, from recovery to addiction to the trauma of loss. Vancouver Community College student Mildred German said her art is inspired by the fight for social justice in her community in Vancouver’s Downtown Eastside. 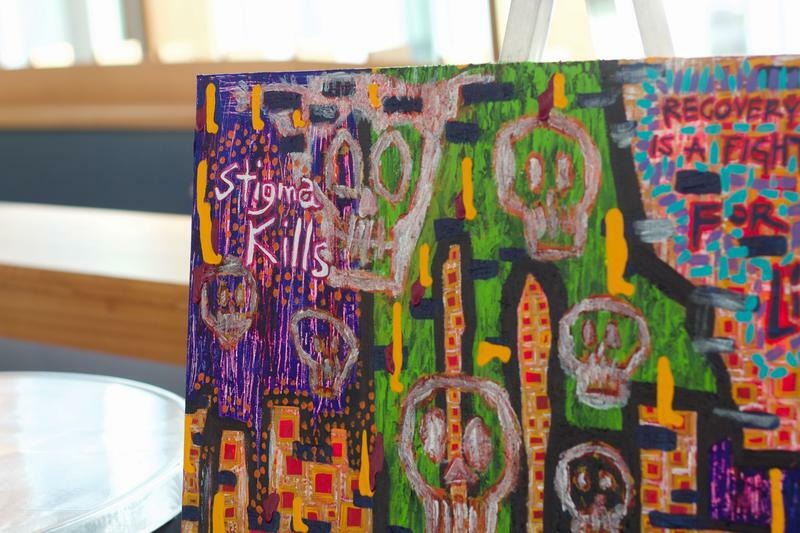 With her acrylic painting Stigma Kills, German hopes to show that addiction and mental illness can affect anyone, anywhere. “Stigma, that really does affect everyone,” said German. “People have to suffer on their own when we have resources that we could provide to save their lives. 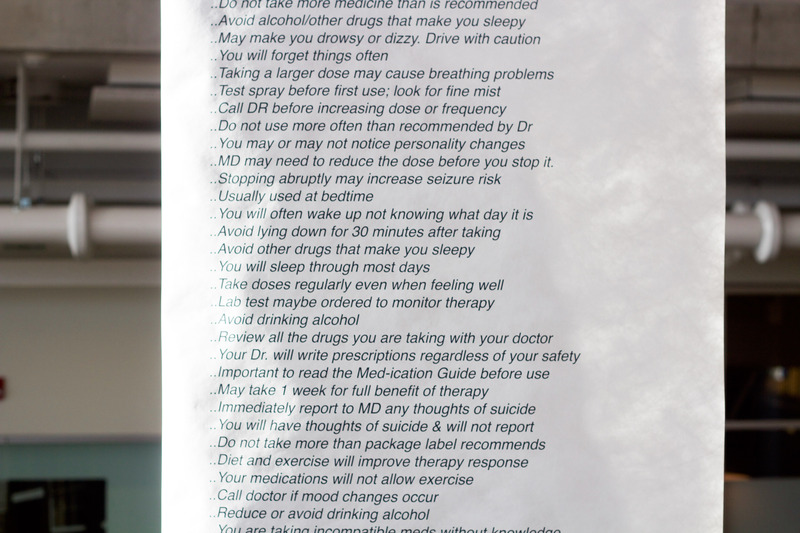 Danielle Martine, a student at the Emily Carr University of Art, created a text-based piece incorporating quotes from dozens of prescription cards and her own interventions, highlighting the often contradictory messages in the healthcare system that allow people to slip through the cracks. “With the medical system, there’s a lack of autonomy and consideration of the human side,” said Martine. Beyond drug policy, pieces also address the personal side of substance use. A series of photos by CSSDP member Hillary Agro showcases the social connections created by consensual, safe recreational drug use. Other pieces deal with the trauma of loss. UBC alumnus and artist Emma Windsor-Liscombe dedicated a piece to her cousin, who passed away three weeks ago after taking drugs contaminated with fentanyl. Comprised of six graphite sketches, the piece highlights the hardship Windsor-Liscombe’s cousin suffered as a victim of addiction and extreme bullying, as well as a survivor of sexual assault. As discussion groups began, Lake stressed the point of the event wasn’t to force or promote a single view of drug policy on attendees or solve the crisis overnight, but to create a space for honest, vulnerable dialogue. “We’re not trying to come up with any simple solutions. We know that there are no simple solutions,” said Lake. “In order for us to move forward with any sensible, small-scale policy changes … we really do need to understand how students and young people are experiencing the crisis.